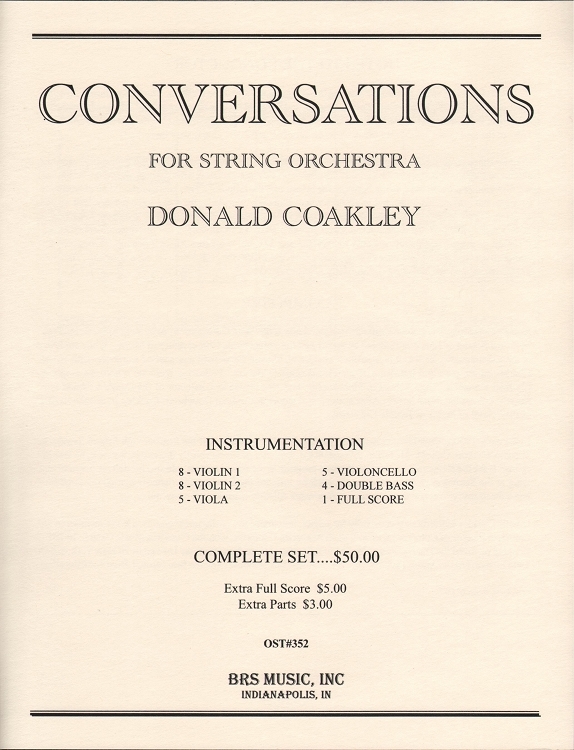 Conversations is a vigorous single movement work in three sections. The outer sections should be played with energy. The middle section should be interpreted in a legato flowing style.